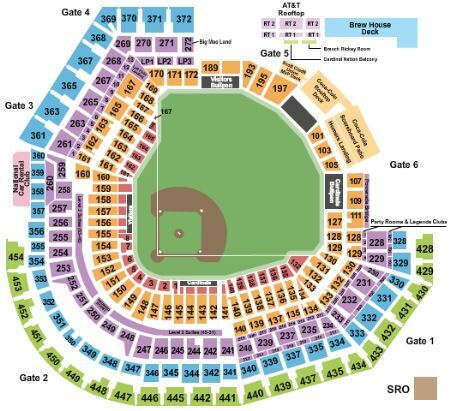 St. Louis Cardinals vs. Kansas City Royals Tickets - 5/21/2019 - Busch Stadium in St. Louis at Stub.com! Mobile Entry Tickets. Must have smart device on hand to enter event. Do not print these tickets. Tickets will be ready for delivery by May 20, 2019. Mobile Entry Tickets. Must have smart device on hand to enter event. Do not print these tickets. Tickets will be ready for delivery by May 19, 2019. Mobile Entry Tickets. Must have smart device on hand to enter event. Do not print these tickets. Tickets will be ready for delivery by May 21, 2019. Does not include admission to event. Tickets will be ready for delivery by May 17, 2019. Does not include admission to event. Tickets will be ready for delivery by May 19, 2019. Tickets will be ready for delivery by May 16, 2019. Tickets will be ready for delivery by May 19, 2019. Tickets will be ready for delivery by May 20, 2019. Third row in this section. Tickets will be ready for delivery by May 19, 2019. These seats are on the aisle with purchase of the entire group. Tickets will be ready for delivery by May 19, 2019. Second row in this section. Tickets will be ready for delivery by May 19, 2019. Mobile Entry Tickets. Must have smart device on hand to enter event. Tickets will be ready for delivery by May 17, 2019. Does not include admission to event. Tickets will be ready for delivery by May 20, 2019. Mobile Entry Tickets. Must have smart device on hand to enter event. Do not print these tickets. Tickets will be ready for delivery by May 17, 2019. Fifth row in this section. Tickets will be ready for delivery by May 19, 2019. Mobile Entry Tickets. Must have smart device on hand to enter event. Do not print these tickets. Tickets will be ready for delivery by May 18, 2019. Mobile Entry Tickets. Must have smart device on hand to enter event. Do not print these tickets. Includes unlimited food and drinks (beer, wine and soft drinks). Tickets will be ready for delivery by May 19, 2019. Mobile Entry Tickets. Must have smart device on hand to enter event. Do not print these tickets. These tickets are an Obstructed View and your view of the action and the stage/set/field will occasionally be blocked. Tickets will be ready for delivery by May 17, 2019.